Did you know that we have our very own weather station here at The Trafalgar Wharf Group. So what is a weather station and what does it do? 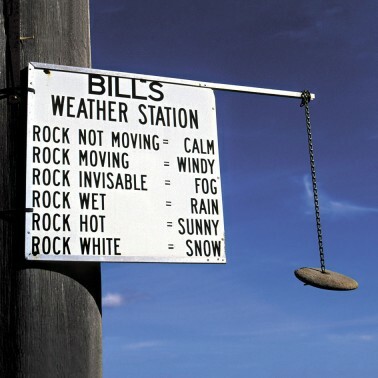 A weather station is an observation facility or post, either on land or sea, where weather conditions and meteorological data are observed and recorded with instruments and equipment to provide information for weather forecasts and to study the weather and climate. Manual observations are taken at least once daily, while automated measurements are taken at least once an hour. Weather conditions out at sea are taken by ships and buoys, which measure slightly different meteorological quantities such as sea surface temperature (SST), wave height, and wave period. Drifting weather buoys outnumber their moored versions by a significant amount. It's vital that you ALWAYS check the weather before you go out on the water. 1. Are warnings current for your boating area? 2. Are there weather conditions affecting safe navigation and comfort? 3. What are the wind trends? 4. What are the wave conditions? 5. When is the next high and low tide? Weather Forecast; always check the weather forecast before going boating and have a radio on board to receive weather updates. Life Jackets; make sure you have at least one life jacket per person on board. A little tip – attach a whistle and light to each jacket. Sound Producing Devices; a horn capable of producing a four-second blast audible for at least 1/2 mile and a spare can or air. Lights; make sure you have all the navigation lights as required for your boat and check that all instrument lights are working. Don’t forget a flash light and spar batteries. Distress Signals; make sure your flares, day signals, etc. are accessible and ensure they are stored in a dry location. Also inform anyone on your boat of the location and safety rules for proper usage. Tools and Spares; make sure you carry a basic toolbox with tools and spares appropriate for your boat. Spares should including fuel filter, light bulbs, head parts, through-hull plugs, etc. and always remember you first-aid kit. Fuel and Oil; top up your fuel tanks and make sure you have enough fuel to provide a reasonable margin of safety for your return. Check the engine oil and coolant levels too. Fire Extinguishers; carry at least one fire extinguisher and make sure it is accessible. Check to be sure mounts are secure and functional before departure and make sure everyone on your boat knows where this is and how to use it. Bilges; check that the bilges are reasonably dry and that pumps are not running excessively. Clean up any spilled oil or waste in bilges to prevent overboard discharge. Battery Care; if you have a dual charging system, make sure the selector switch in the correct position and make sure the power is on to the entire vessel. Have aboard spare batteries for accessories such as your handheld radio, flashlight, portable navigational aid, etc. Docking and Anchoring Tips; have at least one anchor set up and bent-on to your anchor line. Carry two or three extra dock lines in case you encounter unusual conditions dockside. Visually inspect the lines you use for chafe or wear and carry at least two fenders on-board for docking or towing if required.